I've been thinking of doing this for quite a while now - going completely Mac, that is. There are a couple of reasons for this, the biggest is that I own a Unibody MacBook, and have been flirting with the Mac-side of the Force for quite some time. There are others, but this is the biggest reason. The things that have been holding me back are much more serious, at least from a writing or blogging perspective. 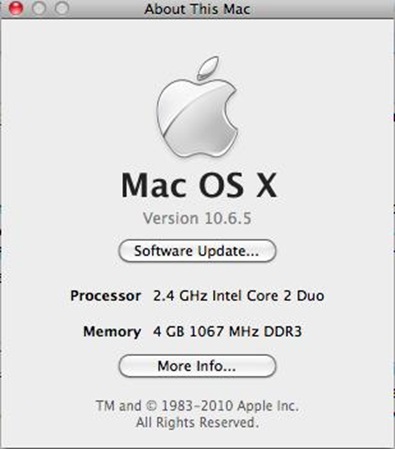 Without going into too much of a litany, here are the top reasons why I have not gone completely Mac in the past few years. I’ve been writing for many years and had, until recently a Windows Live Spaces site called Pocket PC Guru. Microsoft recently killed WLS, and I was in danger of losing the content of a 6 year old blog that included some previously published content that I just didn’t want to lose. MS inked a deal with WordPress, and gave all WLS site owners an opportunity to move their blog from WLS to WordPress. I took them up on the deal. I work on a couple different computers, and write, or try to, other than when the mood hits me. As such, I have traditionally used Windows Live Writer, in part because it supported Windows Live Spaces as well as WordPress (both Gear Diary and JAMM run under WordPress). Windows Live Writer, part of Windows Live Essentials 2011, allowed me to run in between the two and post similar content to all three blogs at the same time. I also had a small stint with iTechGear.org on Posterous. After moving to WordPress, I’ve abandoned that site, in favor of the WordPress backed site. One of the things that I’ve noticed that REALLY bothers me is that I just can’t seem to find a blogging client on the Mac side that equals or surpasses Windows Live Writer. It bothers me, as each and every client that I’ve tried, seems to fall short in one area or another. I do so much writing, that the lack of a client to write in, while off line or on line, is really a problem for me. I’m looking at both ecto and MarsEdit 3.x; but both leave a bit to be desired in my opinion. Outlook vs. Entourage – Blech! Entourage just sucked. 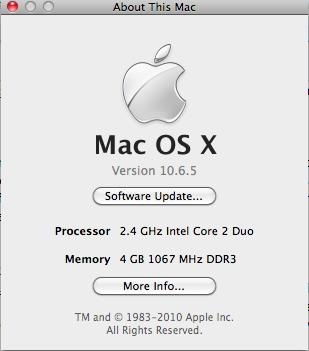 It was SO bad, in my opinion, that it single handedly kept me from using Office 2004 and 2008 for Mac for most tasks. It was just a lot easier to install BootCamp, an appropriate version of Windows, and deal with the driver and other software issues (if any after the BC driver issues were resolved). Now that Office 2011 has been released and sports what should be a real version of Outlook for the Mac, Mac Office should be a lot easier to use. Hopefully… We’ll have to wait and see. Regardless of what works on my end, please note that if you’re using an Exchange Server for mail you really need to insure that your provider is using a version that is compatible with Mac Office 2011. That includes Exchange Server 2007 and above. Exchange Server 2003 is NOT compatible with it, and the client just won’t sync mail with the server. So here I am, giving it a real and true shot. Should things turn south for me, I can always reinstall Windows 7, and make certain I have all of my important files off of my old drive before I blow it and use it to backup and upgrade my Mac Mini. In the mean time, I’m going to really give this a shot and see how it goes. UPDATE: In the end, I realized I had just too many posts in WLW to drop it. I ended up installing Virtual Box, a free VM; and installed a copy of XP Pro on a static 20GB vHDD. The only thing I’m using it for is WLW, as I’ve got it reading and writing to and from my Documents Home Folder on my Mac partition.